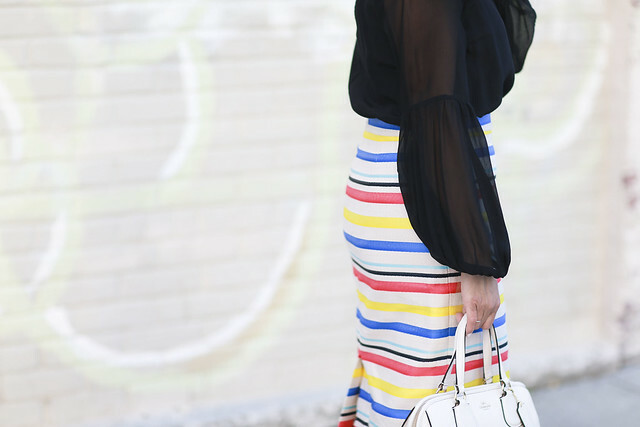 Originally I was going to write How to Transition Your Work Wardrobe from Winter to Spring, instead I’m going to share five ways to brighten your mood and get rid of the winter blues! Last month I just wasn’t feeling life myself. I needed a mind, body and soul makeover. Every year around this time, this happens to me. The cold winter days drag on, I’ve gained some weight, I’ve stopped going to the gym and my eating habits are off. One of my best friends texted me yesterday and said, “Olivia, I feel horrible.” and encourage me to share my experience with my readers. 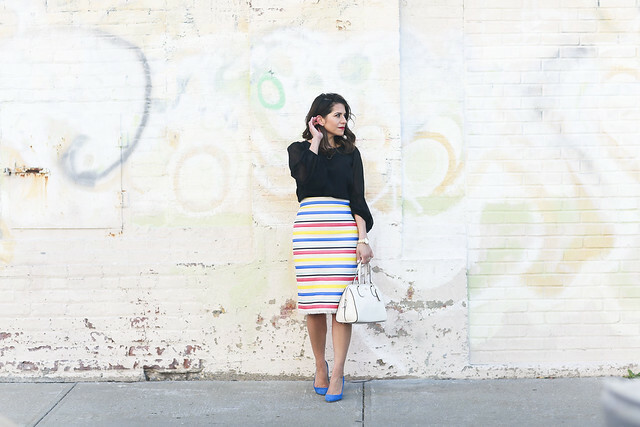 Here are five things I did to make myself feel better and get ready for warmer months! Improve your diet – less candy, pizza and soda. There were days that I was consuming small amounts of fruits, vegetables and lean proteins. My body wasn’t getting the nutrients it needed to be happy and healthy. As hard as it was, I said not to pizza and hello to a salad with chicken. One of my biggest improvements was less social drinking. Instead of meeting a friend for drinks, I’d meet them for coffee or a mani/pedi. Get back to the gym – it took months to get motivated to get back to the gym. I finally broke and signed up for classpass and it’s been one of the best decisions this year. I’ve been going five times a week and my entire mindset has changed. My routine is a mix of yoga, barre, HIIT and spin. I love the variety in my schedule. Get off social media – while the rest of the world is taking vacations all over the world, we’re sitting at our desk drinking our morning coffee. 99% of us are all in the same boat. The entire world is not going on vacation. Try and keep yourself grounded with social media, because everything you see isn’t real. Also remember, comparing yourself to others is mentally exhausting! Go to the salon – make time for yourself and get a facial, spray tan or just cut off those dead ends. Since my body hasn’t had vitamin C in months, I decided to get some color on my skin. I booked an appointment at the nearest salon for a spray tan and I immediately felt better. Get rid of stuff – that pile of stuff that’s been sitting in your hallways, take it to the goodwill or donate it to a good cause. Last week I went through all my clothes and just decided to get rid of everything. Typically I sell things on Poshmark, but this time I decided it was time to donate, I didn’t want to store the clothes till they’re sold. On the brighter side, I’m wearing a colorful outfit to transition to spring. 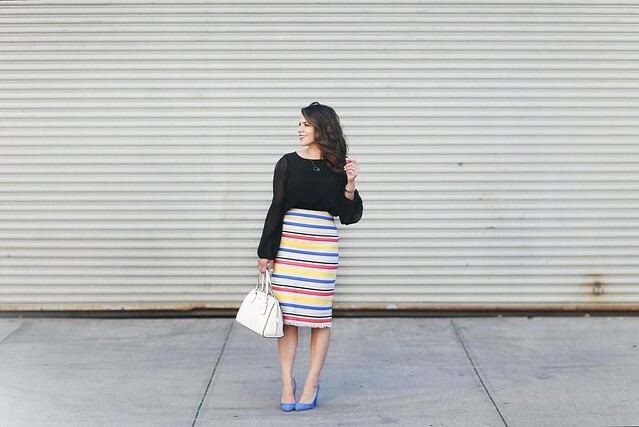 The bold pumps and color skirt are a great way to look work appropriate, but also seasonally appropriate.